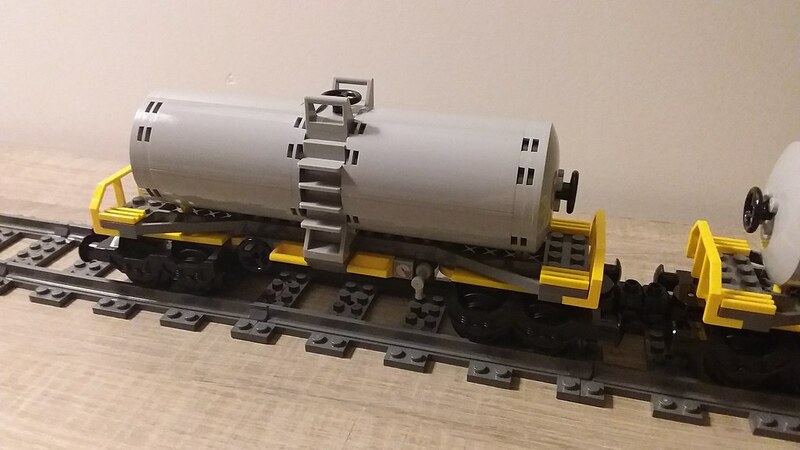 I've recently started bricklinking 10016 tanker wagon. It's quite "bulky", and in the meantime, I've discovered that there was a nice, smaller one in the 7939 set. Even better than 10016 in my opinion, and a perfect to have couple of those! As usually, some parts are awfully rare. This time it's mostly about `Cylinder Half 3 x 6 x 6 with 1 x 2 Cutout` and `Dish 6 x 6 Inverted (Radar) - Hollow Studs` (87926 and 44375a respectively). Are any of you aware of some similar parts that could be used instead? I built a ton of these and used the 44375b instead of the hollow stud version. I also figured out a way to replace the 2434 with 5 very cheap pieces. I built a ton of these and used the 44375b﻿ instead of the hollow stud version. I also figured out a way to replace the 2434 with 5 very cheap pieces. Ahh, forgot about solid/hollow variants. Also - what 5 parts? I thought about replacing with 4 30414 bricks. I used 4 22885 and you have to put a 2x4 plate under them to get the correct height. The 30414 should work the same though. You made whole tank gray or just the cylinders? 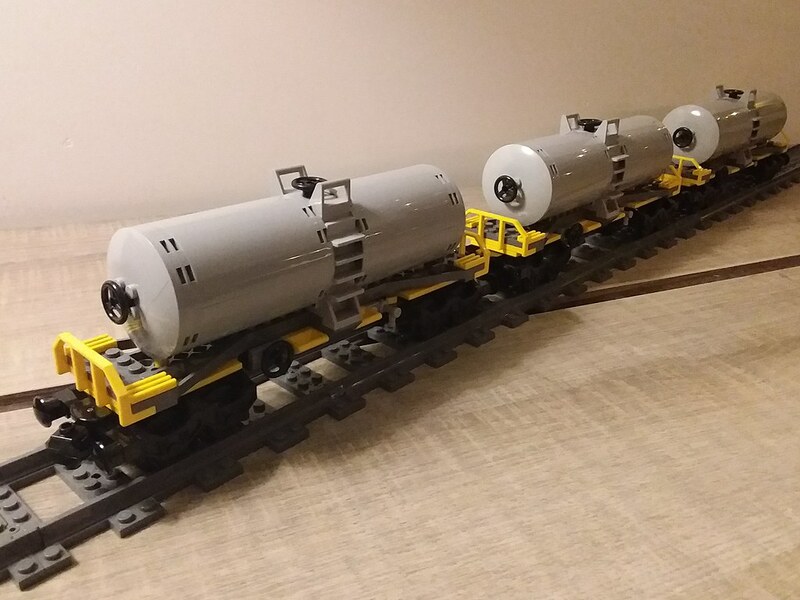 Theese wagons are color modifications of the original tank wagon from the 7939 set. 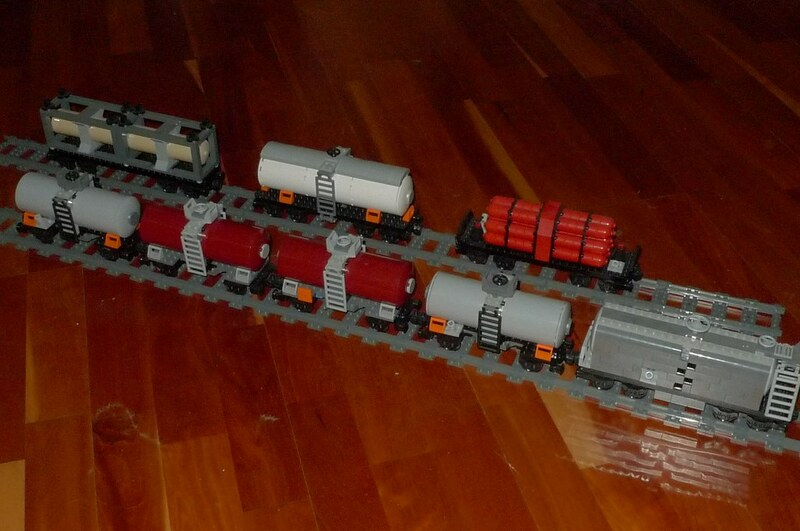 (in my opinion one of the best cargo train sets ...) The design contains three parts which can make trouble obtaining them. The cylinder 87926 needed four times for one wagon, the double sided snot brick 2434 needed two times and the 6x6 dish needed two times too. Since the studs of the dishes are covered by round tiles it is absolutely irrelevant if they are hollow or solid. Both bricklink and the LEGO sparpart service are full of affordable offers. Same for the both side studded modified brick 2434. It is covered over all by other bricks, therefore the color doesn't play any role. The only remaining problem is the cylinder half 6*3*6. To get the wanted color you ned either a realy lot of money OR a lot of patience. The cylinder in dark red is nearly unobtainable at the moment. In 2015/16 the situation was different. More than 30 pieces were offered for more than two years on ebay and nobody wanted them. Ok, after several month I purchased 20 pieces for 5 tank wagons not recognising how rare they are! Perhaps in the upcoming years another opportunity occurs again - who knows? Hold on and look up ebay frequently! 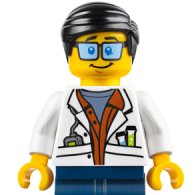 If you have time until february, the spare part service of LEGO reopens. I can remember that cylinders 87926 are available in white, light bluish grey and tan (?) or dark orange, all colours suitable for tank wagons. The spare part service of LEGO ist affordable, quite often cheaper than most bricklink offers. So, wait for another 3 or 4 weeks and look into the spare part lists. Can you take a close up of the red/black multi-cylinder tank car in the back row? I also drained bricklink in europe last year to get light bluish grey 87926 parts. 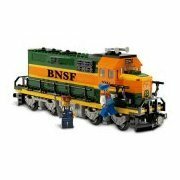 in my opinion one of the best cargo train sets ..﻿﻿. Yeah...I sort of dismissed it because of the yellow loco (which I didn't like) and never looked at its rolling stock. 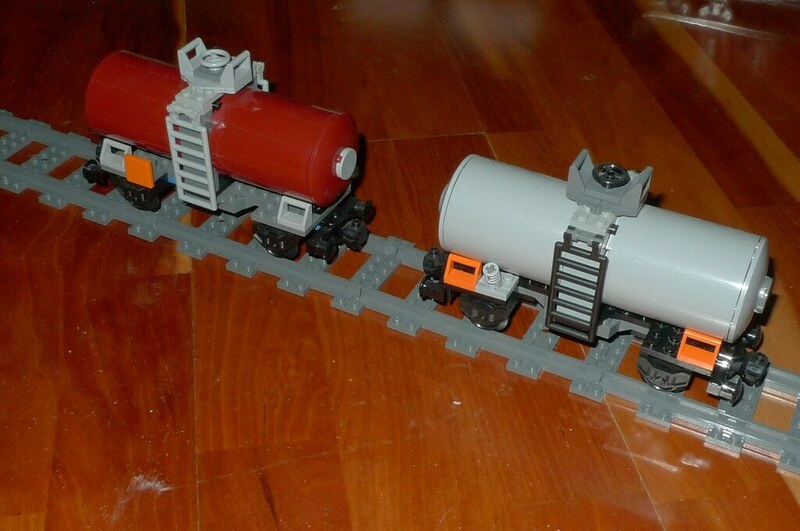 But now I'm also trying to use its container (the big one) design to build a cheap boxcar. We shall see.